Pearl Group laid its foundations in the year 1997 with the only aim of providing the residents of Jaipur with world-class real estate solutions.Through our eminent facilities and state-of-the-art building technology, we have brought a significant change in the way people aspire for their home. We have not only worked in the direction of providing people with lavish and wholesome living system but also entirely changed the way they perceive ‘real estate in Jaipur’.We have a fine array of residential properties in Jaipur, luxury apartments, commercial malls, societies built throughout the city keeping the needs and necessities of different societal groups. 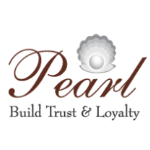 Pearl has worked around the native aspirations of people unlike other builders in Jaipur. We have not only studied the demographic need of people in Jaipur but also researched and thoroughly gone through the Jaipur properties and real estate market propositions. This has helped us in offering all the classes with most viable real estate options that suits their need.